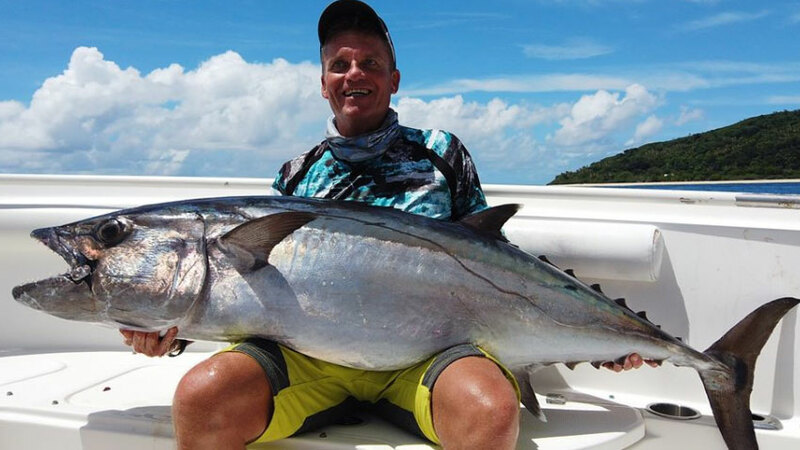 It was a great week for all our guests, all first timers fishing Vanuatu. 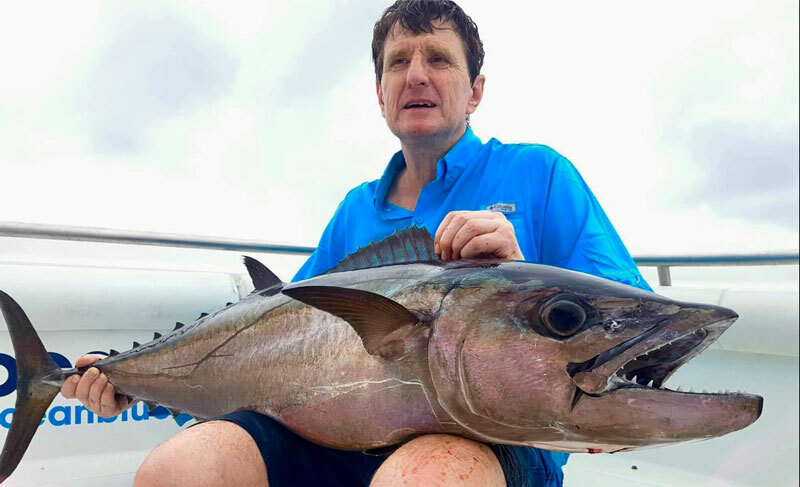 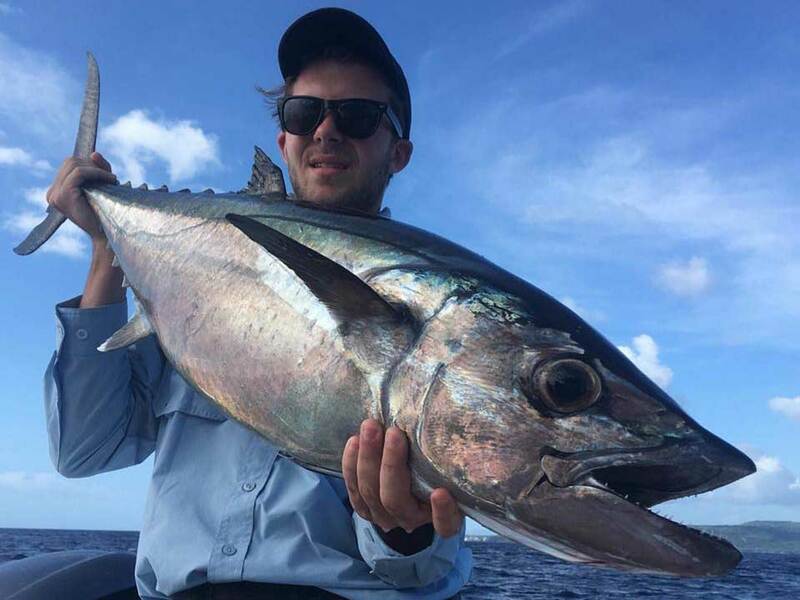 Led by our renowned guides, our guests enjoyed landing a variety of species from blue marlin, diamond trevally, amberjack, dogtooth tuna to name but a few. 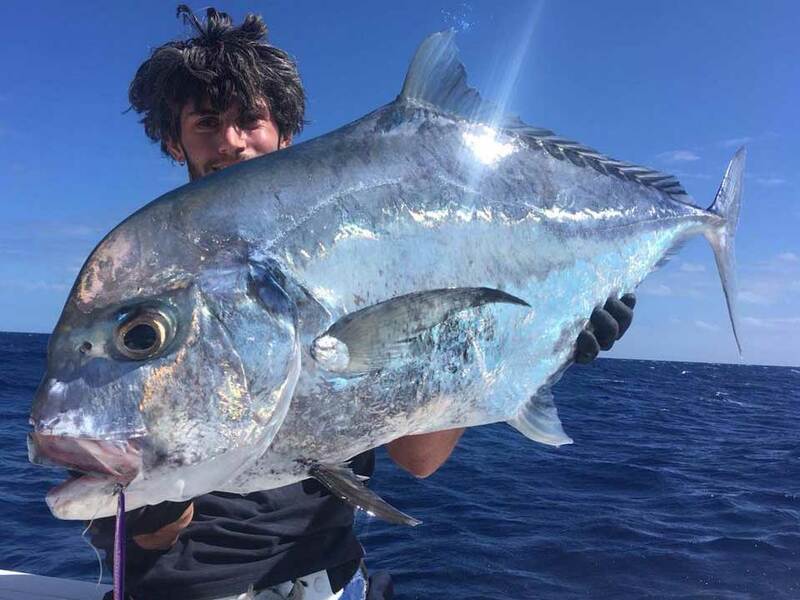 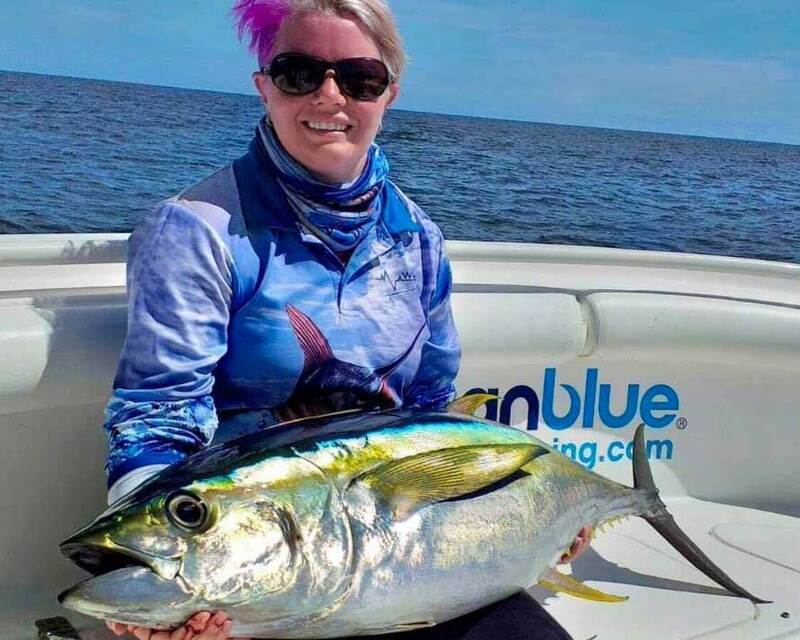 Here’s our weekly Ocean Blue fishing report. 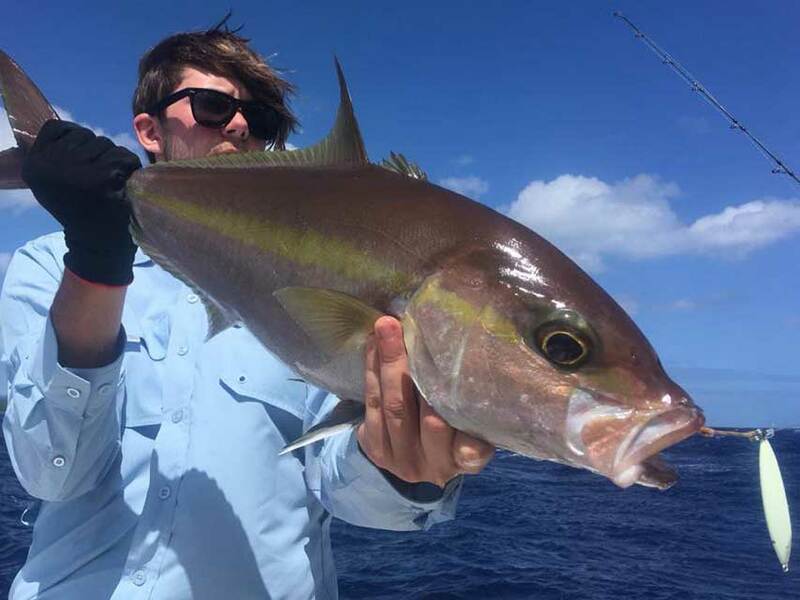 Next Patrick landed a solid GT. 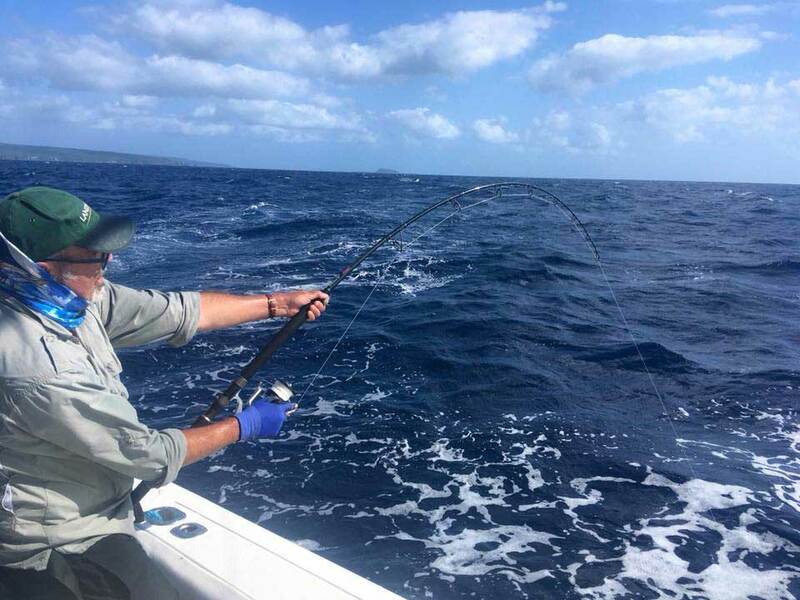 Fishing alongside, Bruce hooked an 80kg blue marlin using a stick bait in just 150 meters of water. 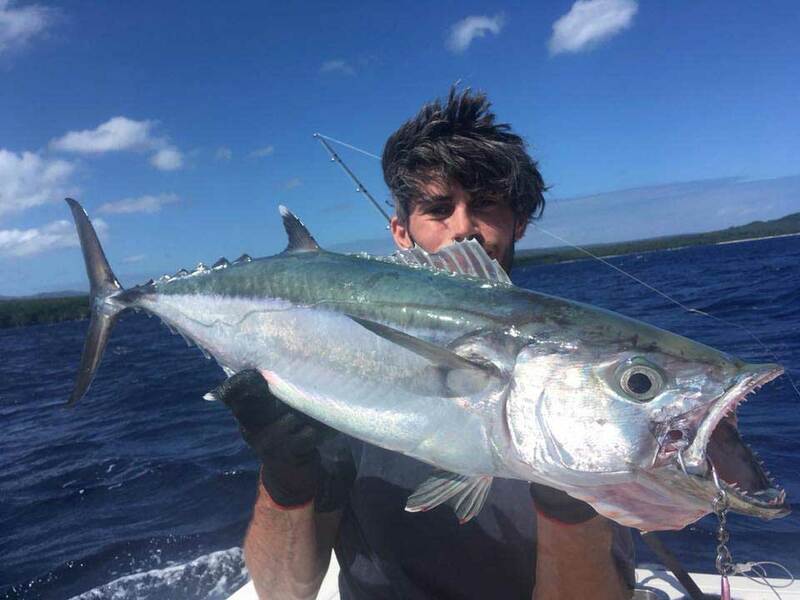 After a back breaking 40 minute fight, the marlin won his freedom. 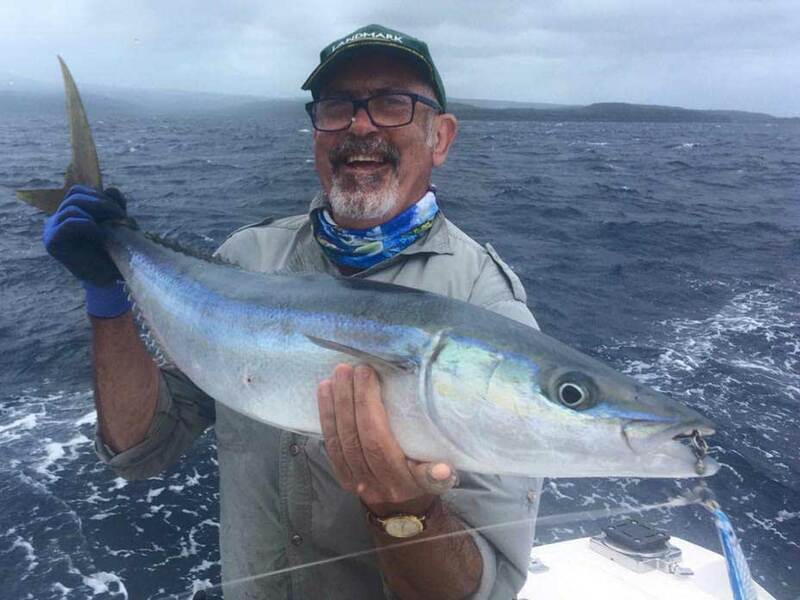 Ah well, that’s fishing for you but hey, good job on the GT Pat! 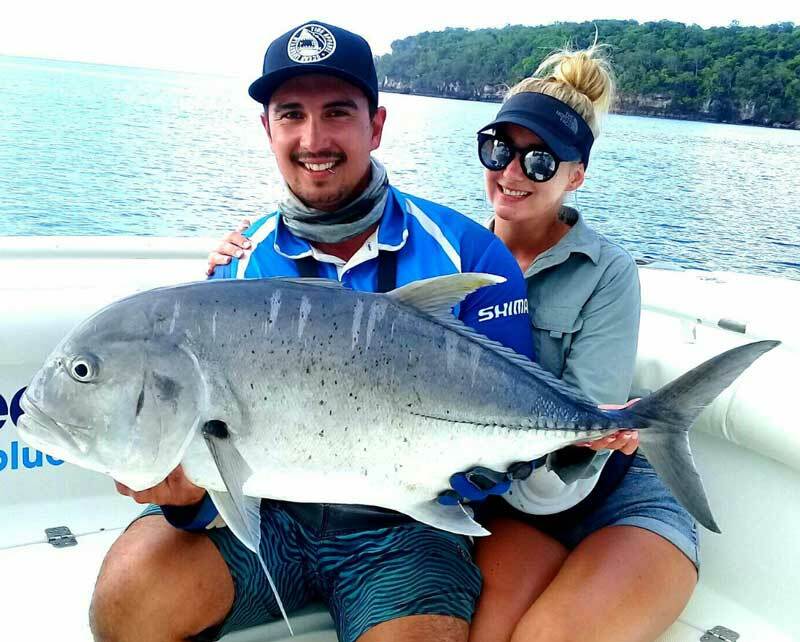 To cap off a great week of successful fishing – Andrea together with the father-son team, weren’t disappointed. 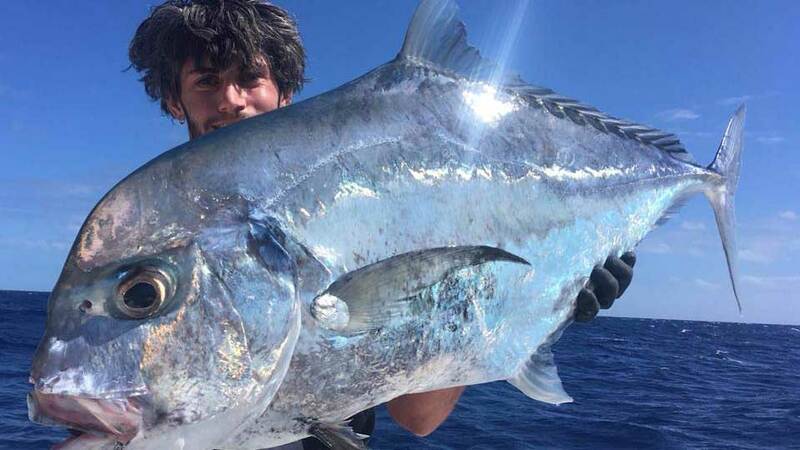 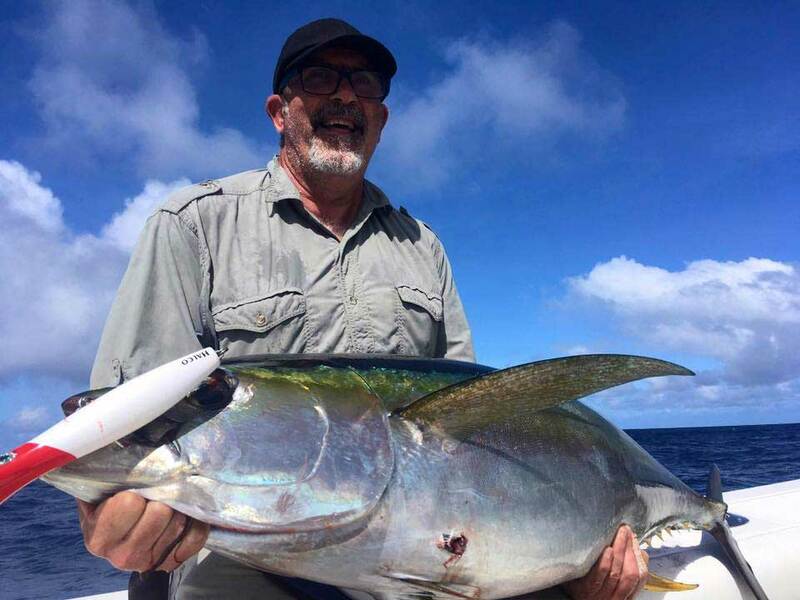 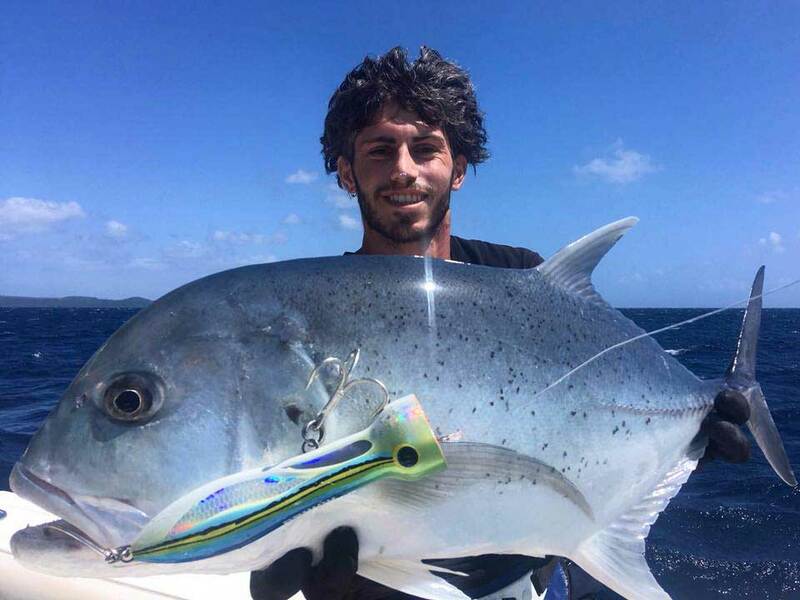 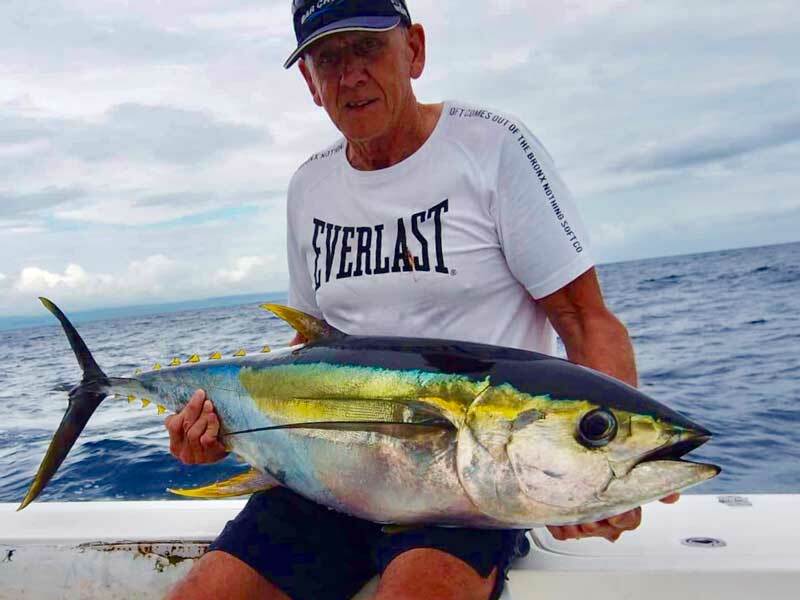 Together they jigged for some dogtooth tuna and managed some impressive yellowfin tuna on poppers. 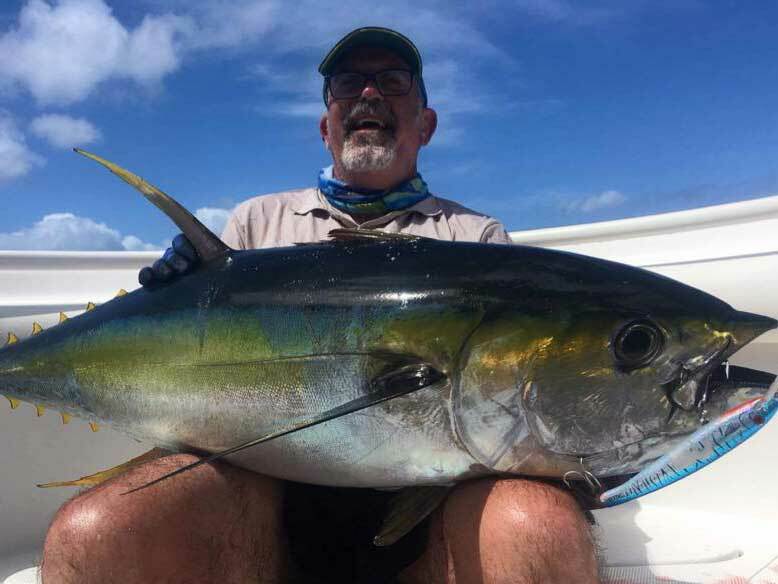 The highlight of the day was Bruce’s amazing doggie caught on a laser pro. 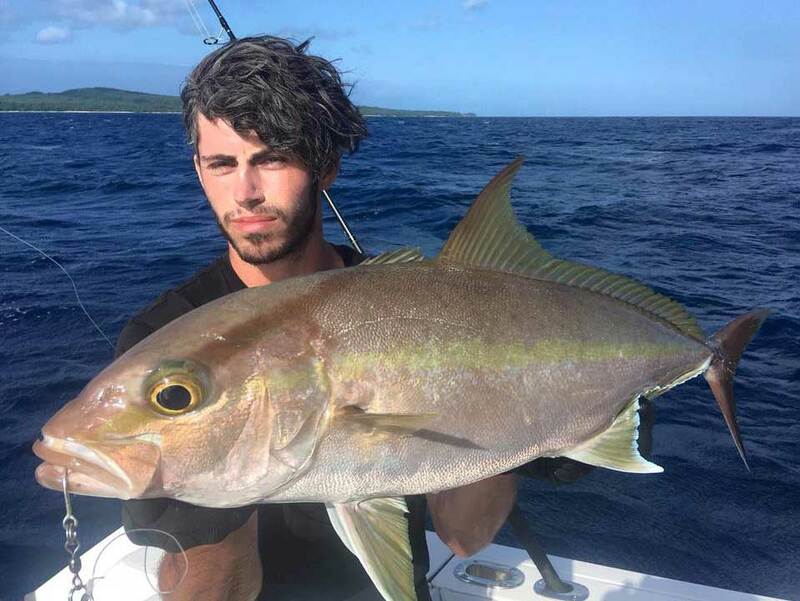 Look forward to next week. 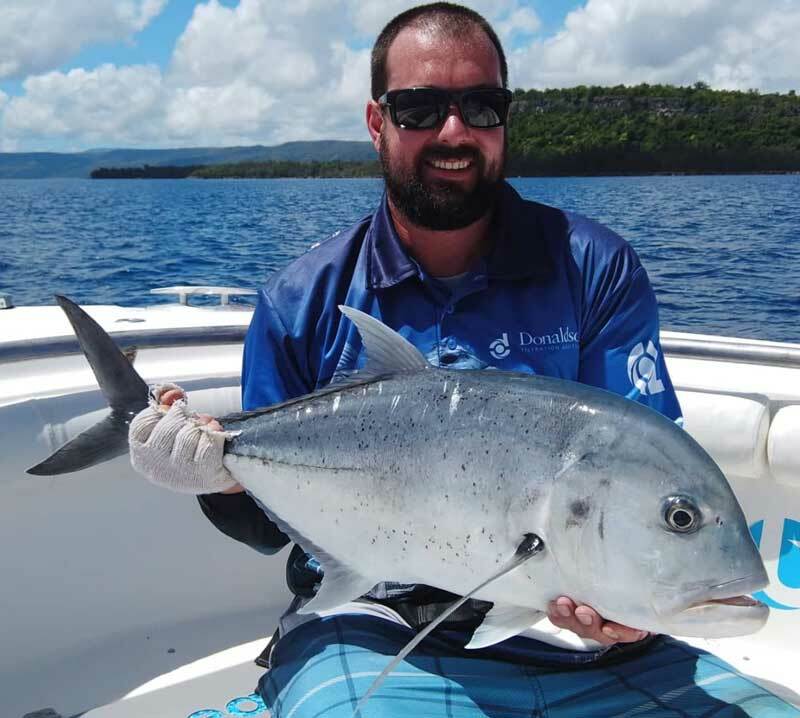 If you want to take on an exciting Vanuatu fishing experience, click the link below.